Link up your canning recipes here! Each entry should include the "Canning Week" badge found on my sidebar. Make sure to "like" your favorite post. 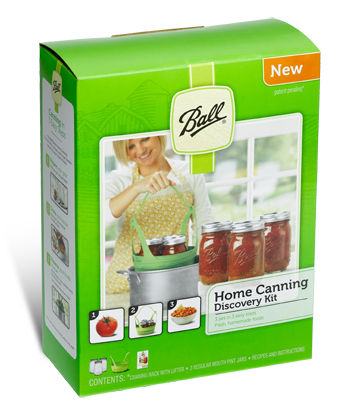 The person with the most likes will win a Ball Discovery Canning Kit. Recruit your friends, fans and followers to come vote for your entry!!!! Big Thanks to Ball for being a sponsor of this weeks Blog Party Be sure to check back each day for more contests! trying to put recipe up but having trouble! my recioeis for canned beef. Its spoon good ans tender! Pack chunked beef in jars add 1tsp of salt put lids on and put in pressure canner. Pressure at 10lbs for 1& 1/2 hours. awesome idea. cant believe it's that time of year again, already. Ooops...posted too many times...computer hiccup, I guess. Thanks for letting me know about this party so I could enter! Thanks for hosting such a unique blog hop! I shared my great grandmother's recipe for pickled red beets. Luve the idea of canning week!!! Hi, Jen. I just shared a recipe for sour pickles. Thanks for hosting us.